Home Blog interest all blog, Optionetics Collar Option Strategy. This series is an attempt to introduce you to the world of Options and explore the possibilities. As a buy and hold investor, majority of us are not even aware that we can earn regular income out of our holdings, or protect our nest in times of turbulence. The world of Options is full of so many jargons, that it scares away even the most adventurous of us. In our previous blog, we discussed that savvy investors use options for many ends, a) to buy the shares of companies they are interested in a lot cheaper than market price b) to protect themselves in times of uncertainty and c) to earn regular income from their current holdings. It was heartening to see IIF (Intelligent Investor forum), a popular forum I am part of, open a thread covering the concept of Covered calls in their forum. I thought it best to write about a strategy which adds to that. But before that let’s get the basics right. What is a Covered Call. A covered call is an options strategy in which a trader/investor who is in possession of the shares in cash writes an out of money call of the same stock. The payoff is such that if the stock does not appreciate, the calls expires worthless and trader gets to pocket the premium. If the stock does appreciate, there are 02 possibilities. If stock appreciates beyond the written call, the loss you will incur on call would be equal to the profit your cash position would generate. And therefore the brokerage you pay to write the option would be the only loss you will incur. (Of course if stock hits a upper circuit, you will miss that entire rally, that is why it makes sense to deploy this strategy when the stock has already appreciated quite a lot). If it appreciates but stays below your written call, you will pocket the entire premium of the call and also get to keep the appreciation of the shares in cash. Best of both worlds. 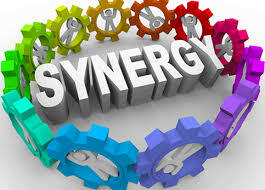 So I started the blog by saying that we can take out the only negative of this strategy. How do we better an already amazing strategy? What is the flaw? Flaw, if at all, is that there is no downside protection. But that is not really a flaw to be honest. Buy and hold investor was exposed to this risk even without this strategy, in fact now at least he gets to pocket the call premium when the underlying stock cracks. But what if you want your cake and eat it too? Or For some reason, be it brexit, R3 exit, Greece or your hunches or technical analyses you are of the opinion that market is due for a correction, what do you do in that case. This is where we can make covered call better and turn it into a COLLAR. 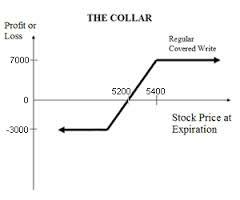 COLLAR is an Options trading strategy which incorporates having an underlying stock in cash while simultaneously buying protection in form of OTM (Out of Money)Puts and also selling OTM (Out of money) calls against that holding. Buy 2000 shares of Tata Steel at 369. Buy 01 OTM AUG 350 Put at Rs 9. If your fear comes true and market actually cracks as your hunch/technical analyses predicted, the OTM put that you have bought for 9 bucks will explode and its profit will limit the loss on your cash share position. The call that you have written for 13 bucks will of course go to zero and you will pocket it full. If your fears were all bogus and market ignores the brexit and rallies on, 02 scenarios will manifest. If the rally goes beyond Rs 380, your written OTM call will start making losses but remember that will be offset by the increase in your portfolio since you hold the shares in cash. Click Here to see the PAYOFF. Of course with this strategy your upside is capped. 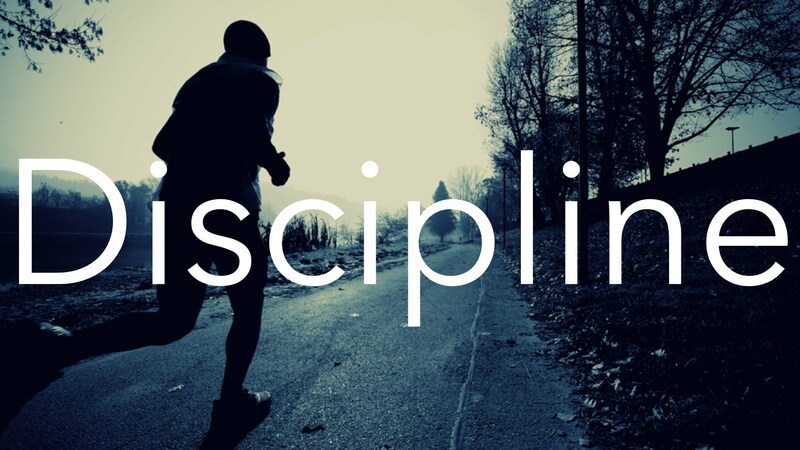 Your max profit = Strike Price of Shorted Call (380) – Purchase Price of Underlying (369) + Net Premium Received(4) – Commissions Paid. And in most probability we will end this trade at Rs 4/share credited to our account. You can even calculate the probability of profit with a calculator but that is for later. Zero cost hedge through Collars. You must have noticed that even after buying the Protective PUT, we incurred some loss (15). the reason for that is that our PUT was Out of money and so did not protect us from current market price to its strike price. As I write this, this situation is manifesting in SKS micro finance (Now Bharat Fin). People who own this stock in their portfolio can simply sell Aug 900 call at Rs 30 and Buy 840 Put at Rs 30. While the cmp is 840. You get to pocket the entire rally of SKS and have bought insurance free of cost. Even if SKS, gives away all its rally, you are well protected. If it rallies beyond 900, your loss on written calls get offset by your cash position. These situations of course don’t last for long since market arbitrage puts it back in equation. Hope this chapter helped. Feel free to write in to us for any query and we will be happy to answer. Stay tuned and bookmark this website as we take on a journey to educate you on this intriguing subject. Disclaimer: While we may or may not have taken these trades on our account, we are surely not recommending them This blog is for educational purposes only. Please consult your Investment adviser for all your Investment decisions.